Next month, Coca-Cola will be turning their iconic red packaging to white. Arctic white that is. 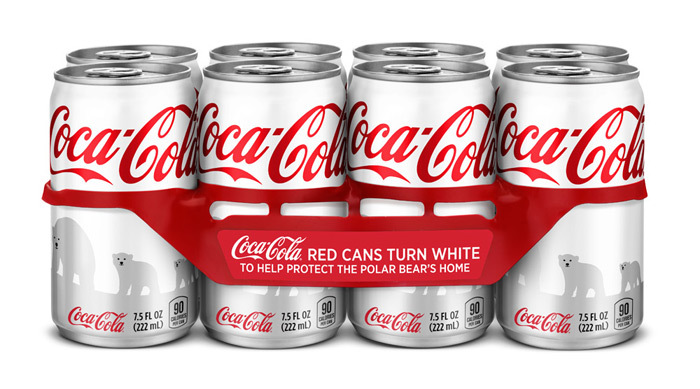 Coke is teaming up with the World Wildlife Fund (WWF) for a bold new campaign to help protect the Arctic home of polar bears. 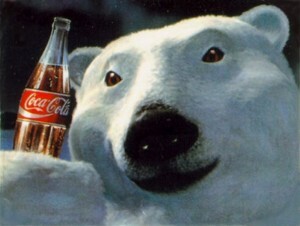 Coca-Cola will be committing up to $3 million to WWF’s polar bear conservation efforts while also asking fans in the US to join in the campaign by texting donations to the cause. 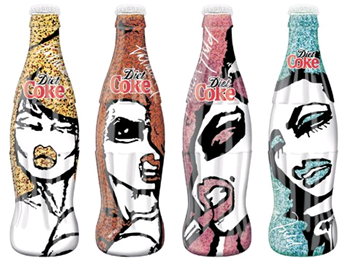 The first-ever white packaging for Coke encourages $1 text donations to WWF. 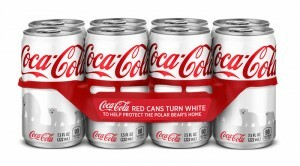 More than 1.4 billion white Coca-Cola cans will help raise awareness and funds marking the first time ever that Coke has changed the color of their red cans. The all-white cans will feature the image of a mother bear and her two cubs making their way across the Arctic. White packaging will be on store shelves through February 2012. Anyone who wants to help the polar bears can text the package code to 357357 to donate $1 to WWF. They also can donate online at ArcticHome.com, starting November 1. 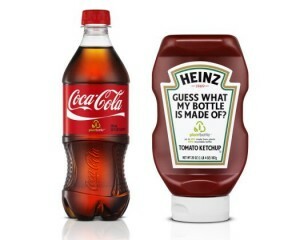 Coca-Cola will match all donations made with a package code by March 15, 2012, up to a total of $1 million. 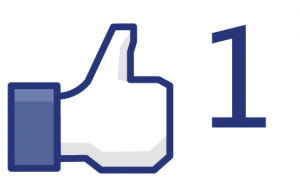 Have you ever wondered which brands are most popular on Facebook? Famecount has a list the shows the most “liked” brands on Facebook worldwide. The keyword is “Like” here. Facebook “Likes” are supposed to have less value in the future as Facebook just launched a new metric called “Talking about”. Pages with a high “Talking about” rating are the ones with the most compelling content because the metric will measure user-initiated activity related to a page. Activities include wall postings, “Likes”, commenting, and sharing a page. Marketers have to focus on coming up with compelling content in order to get users to interact more with their pages to score higher “Talking about” ratings. So while it’s good for a brand to have a lot of “Likes”, it’s better to get consumers “Talking about” them. When you are hungry for something where do you look first the cupboard or the fridge? Common sense dictates that people open their fridges more frequently than their cupboards. The fridge is a dynamic place and the cupboard has become a thing of the past. 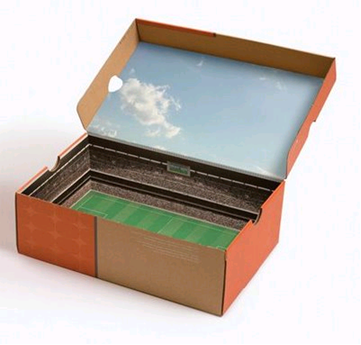 Companies have realized this change in food placement and have developed their packaging in relation to it. Heinz, maker of the famous red hot dog and burger condiment, has taken the traditional tin can for baked beans and evolved it into a container that can fit on the average fridge shelf. The innovative design is a plastic jar with a screw top. It was developed for consumers who may use more than one can when cooking because it contains the equivalent of two and a half standard cans. Baking soda, which was once known as a baking ingredient, is now moving from the cupboard into the fridge and is acting as a deodorizer. The little yellow box made by Arm & Hammer is designed to fit in the fridge and also possesses a clear strip to see how much is left. This package design allows the fridge to stay fresh and takes up little room. 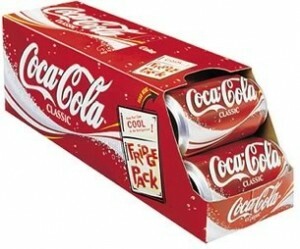 Coca-Cola has made fridge friendly packaging for its 12 packs. 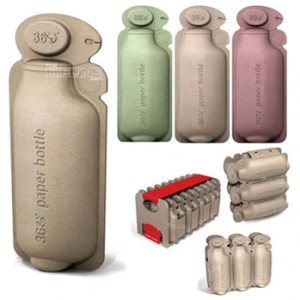 The packaging design is slimmer making it easy to store in the fridge and takes up less room. The packaging is also designed to dispense after one can gets taken out. These examples are just a few of the cupboard to fridge packaging designs that are present. Keep your eyes open for other packaging designs that have left the cupboard and moved to the fridge. The future. Such a fascinating idea. When I think of the future, I think of watching Back To The Future II as a 10 year old destined for a hover board and auto-lace Nikes (which Nike has filed a patent for recently by the way). 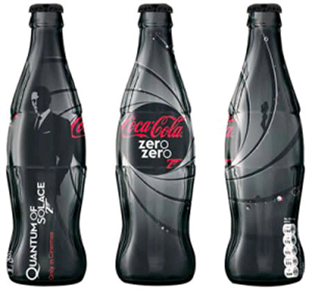 After seeing the new MYSTIC package design for Coca Cola bottles, it made me reminisce on those several occasions of watching Michael J Fox traveling to 2015 in pure envy. Are we now living “In the future”? 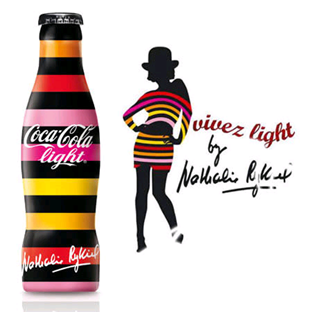 The design was created by French designer Jerome Olivet. 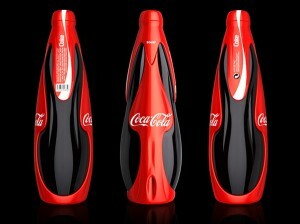 The racy, aerodynamic style of the bottle and the classic red color gives the feel of a supernatural future world and adds even more power to a strong brand. As we’ve seen many soft drink and bottled beverage companies change their package design on several occasions this past year or so, the transformations have all had an emphasis on the environment and eco-friendly packaging. 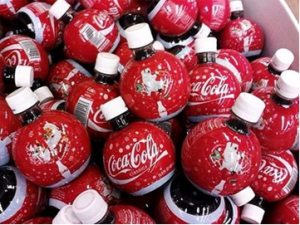 Further, Coca-Cola has been in the news for their proactive approach on sustainability. This design however, focuses on the strength and legacy of one of the biggest brands in history. Very interesting approach. 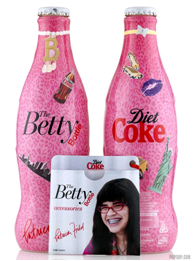 We’re not sure when or where this design will hit convenience store coolers. But with such an attractive design, you’re sure to notice when it does. When you walk into a store, what is it that makes you want to buy a product? 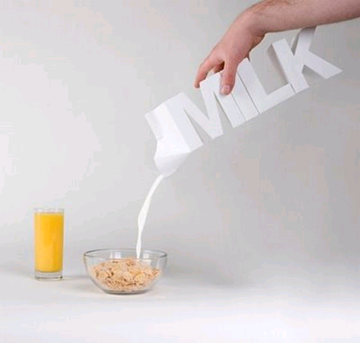 Is it the actual product itself or the presentation of the product with custom packaging that grabs your attention? It is usually a combination of both. 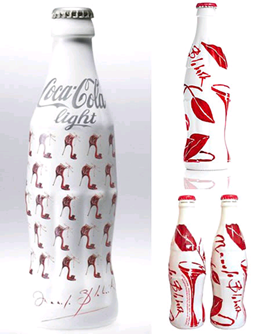 Consumers typically have at least somewhat of a need or want for the actual product itself if they are going to buy it, but the creative packaging is really what makes it stand out on the shelf over the competition. 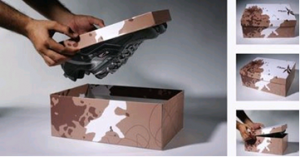 Box designed to custom-fit the shoes. Coca-Cola holiday bottles look like ornaments. See your dream sports field as you open your new athletic shoes. 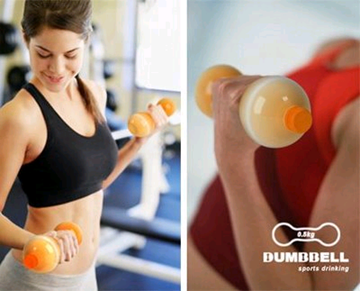 Workout with your sports drink. 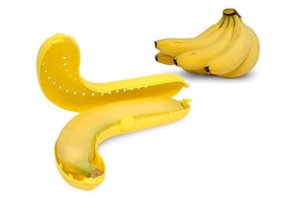 Banana case to protect from bruising. 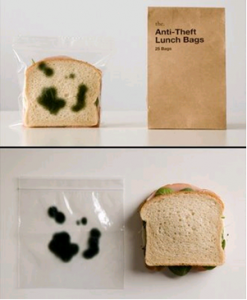 Make sure no one eats your sandwich. Creative juice boxes that look like the texture of fruit. 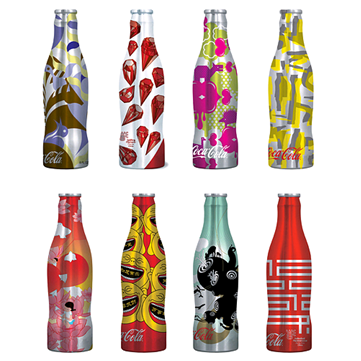 Custom packaging can truly turn your product into a creative masterpiece that gets consumers to stop and stare. 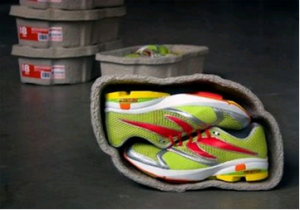 It adds value to your product with an exceptional look that is fit to meet your needs. Consider getting an eye-appealing customized package for your product or your next project and you could see the results that a quality product presentation gives.